Home / Blog / content marketing / If Content Marketing is King, then What’s the Queen? What content is your target audience interested in? What content in your marketplace is shaping your industry and being consumer by your consumers (audience)? What content creates and builds your online traffic, conversation and leads? 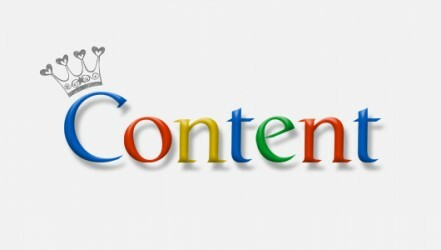 What content (keywords) does your target audience uses to search for goods or services that your business may provide? So yes, no need to beat a dead horse here, but it is clear that content rules the roost in the online world, so it is therefore imperative that you as a marketer have an effective content strategy which starts with research. If content is king, then research is definitely the queen. You simply can’t have one without the other when building your content strategy for your company’s overall marketing strategy. 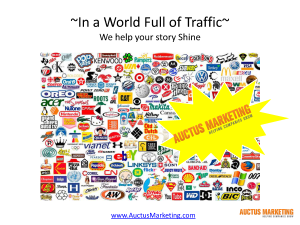 From design to conception, here at Auctus Marketing guess what we actually love doing? Content research. So what type of research are we talking about then? We recommend that you definitely use Google & Bing tools for search marketing insights as they are very user friendly, provide great insight into your market, and they are free. For example, by looking into your Google Webmaster Tools you can see which of your pages on your site receives the most views, your top keyword search terms, and which pages have received the most engagement. Conducting this necessary research provides any great brand or even product with a great foundation to build from because it provides insight into which pages are performing well, ones that aren’t, as well as, some long tail marketing opportunities. As any accomplished marketer knows, these long tail opportunities give a marketer content options which have a greater chance of attracting interest, building traffic to your site and generating leads. Most of you probably use a newsletter service like Constant Contact, MailChimp, etc. Make sure you dive into your analytics that these offer to see which of your newsletters has the best open rates and which content in your newsletters has received the most clicks. BUT don’t just stop there. Be sure to view which of your content pieces has perhaps stirred conversation from your community or which pages have received the longest average visit duration. These data points will provide more clues. Be sure to test out which days your communities has a better response rate too. Well you can probably guess where I am going to go with this one. The same as above, you want to utilize the analytics that each social media channel offers to see which of your posts, tweets, boards, etc. has received the most amount of shares, comments and likes. The amount shares and comments will give you a nice view of how engaged your social community is. It will also show you which social channel is working the best for you, so you can allocate your time more effectively in the future. For example, if your Facebook community is very active when you post content, then you want to make sure that you are ready to respond to your community immediately on this channel to keep the conversation flow going + to nurture potential leads. So if you are struggling with where to best start with your Content Marketing, need some assistance making your content more effective or just need some additional content strategies or ideas, please shoot us a line.